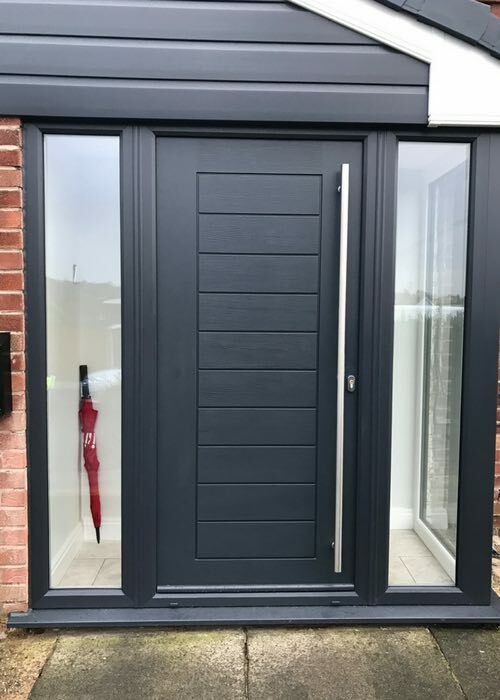 This a composite door job we did in chadderton, the fully glazed panels with a corner post in grey is something not currently on the market, so we manufactured this as a one off for the customer. Because we do all our own manufacturing it allows us to create full bespoke project for our customers. This composite doors is not anywhere on the market. We are one of the very few national door companies that can create fully bespoke doors upon request and install them.